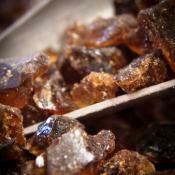 Sourced directly from Belgium, this Dark (Rock) candy sugar is made with a nod to tradition as cer..
Sourced directly from Belgium, this Clear (Rock) candy sugar is made with a nod to tradition as ce.. The darkest and richest Belgian candi syrup with an SRM of 180, it has no competitors for flavor, ..
A unique transparent Belgian candi syrup unlike anything else available on the market today. Excel..
240L Belgian Candi Syrup is the richest and darkest candy syrup available on the market. Created to ..
A dark-amber translucent Belgian candi syrup. 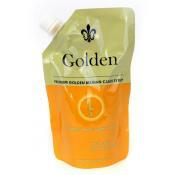 Hints of caramel, vanilla, and lightly toasted bread..
Golden Candi Syrup is a premium rich golden syrup that has no market competitor. Golden is a rich .. 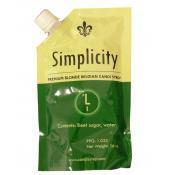 The most versatile dark Belgian candi syrup with a mild palate of dark chocolate, dark stone fruit.. Pure Dextrose converted from corn starch. 100% fermentable. 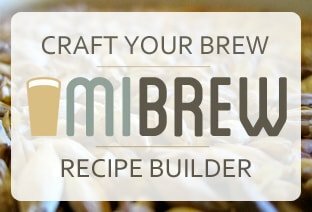 Use on brew day to boost gravity or as..
Corn sugar is dextrose converted from corn starch. 100% fermentable. 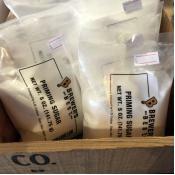 Use on brew day to boost grav..
Corn sugar (dextrose) for priming bottle-conditioned beer or boosting gravity. This 5 oz. 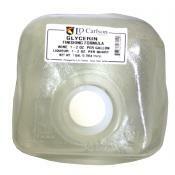 package ..
Glycerine is a finishing formula for wine. 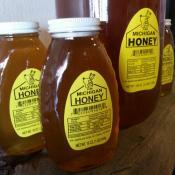 Glycerine helps to smooth out and mellow wine and lique..
One pound of Michigan honey! Locally sourced and nicely packaged. .. 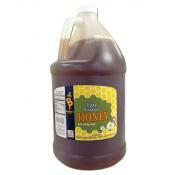 While many shops and brewers rely on local sources for their honey needs, the product you receive ..